Early Spring, Tula sent me their purifying face cleanser and Day & Night cream to try with a "if you like it, share it, if you don't that's ok" kind of deal and well, I love it! I have since repurchased those 2-3 times when I ran out and got a few things like the Multi-Spectrum Eye Renewal Serum, Exfoliating Treatment Mask and their Jet Set travel kit too! Before using Tula, I would break out here and there especially when I'm stressed, and I only had one breakout since I have been using these....one! (You guys know haha because I talked about it on my stories and it was a big deal because I haven't had one in a long time lol). I have heard of other readers who have said they tried everything for their acne and this was the only thing that cleared their skin. These products are great on ANY skin type and are pH balanced so you can mix them with other products and still get great results. I don't want to bore you with all the ingredients and probiotics that help balance your skin, but you can read them HERE. Now, I know they can be a little pricey compared to some drug store products BUT a little goes a long way (I only use a pea-size of the cleanser) and they have great deals all the time with free shipping for over $50. You can get 20% off your purchase with the code: MichelleVIP (but only through August) and YOU can get $20 for every friend you refer when they make a purchase! Also, signing up for monthly deliveries saves you10%. If you need a little guidance, I would start with the Purifying Face Cleanser and Day & Night Cream. Also, I spoke about my silk pillow case before, but I highly recommend it! I will never sleep on a normal pillowcase again! It keeps my curls in longer and I don't wake up with lines from my pillow on my face. I bought this set, but you can buy them individually and in more colors. Also, this grey blanket is the softest thing ever! Next is all MAC everything!! 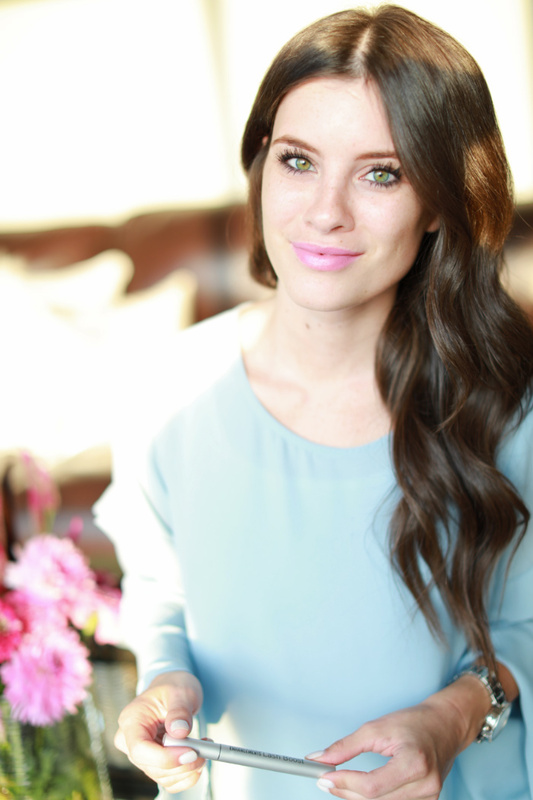 I have never used a more creamy, yet still pigmented, lipstick or lipgloss! I am obsessed with MAC lip products and love trying out new colors! The one I am wearing is the "Not Too Sweet" lipstick from THIS kit. 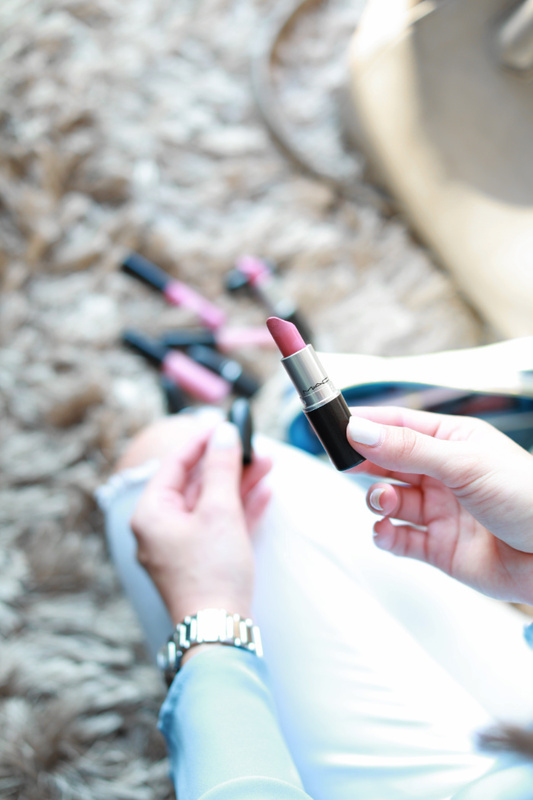 I also love "Pink Plaid" for lipstick and "Snob" for a good neutral gloss. 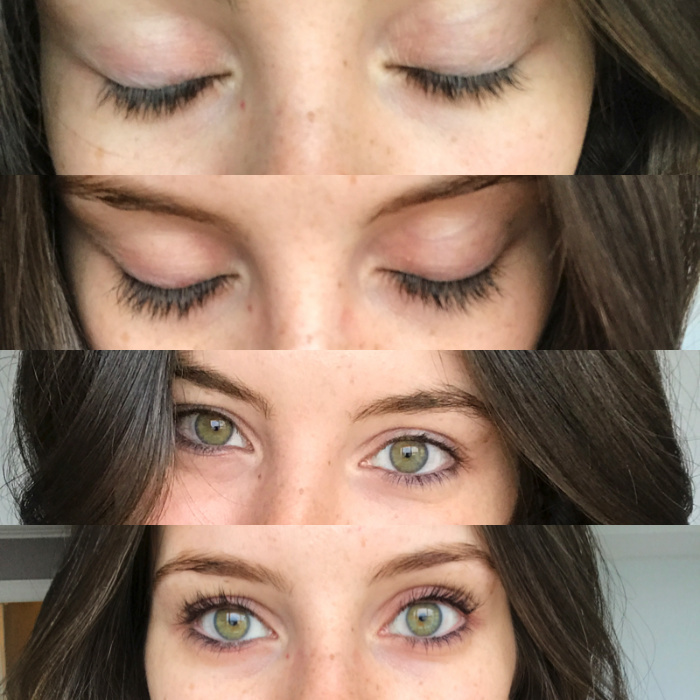 Next, I want to talk about how my lashes grew so much in just a little over two months. Christina reached out to me asking if she could send me a tube of the Lash Boost from Rodan and Fields. I was hesitant at first, but after doing a ton of research on this product and hearing friends rave about it, I decided to try it out for myself. It took a good 3-4 weeks before I noticed a difference and then I feel like they just all of a sudden hit their growth spurt and had random people constantly asking me if my lashes were fake. I do want to mention that you get a ton of product for a skinny tube and with that being said, be careful when you apply it to get a nice even line at your lash line (as if you were applying eyeliner). It activates your lash growth so if you go too high, you may notice hairs growing above your lash line. Also, it didn't irritate my eyes but when I woke up some mornings my eyes felt like they do when you play the blinking game, but when I washed my face, that feeling went away. If you want to order a tube or have any questions, you can reach out to Christina HERE. 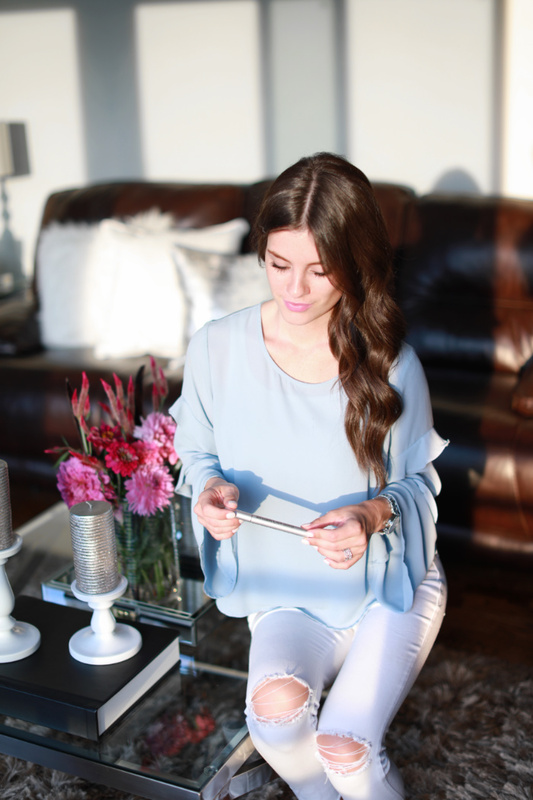 After seeing a few of my favorite bloggers use these products for years- mind you, they have perfect, long mermaid hair- I have been wanting to try these products so bad, but couldn't justify it. I finally caved when I was looking around shopping the Nordstrom Anniversary Sale and decided it was time to give my hair some TLC. 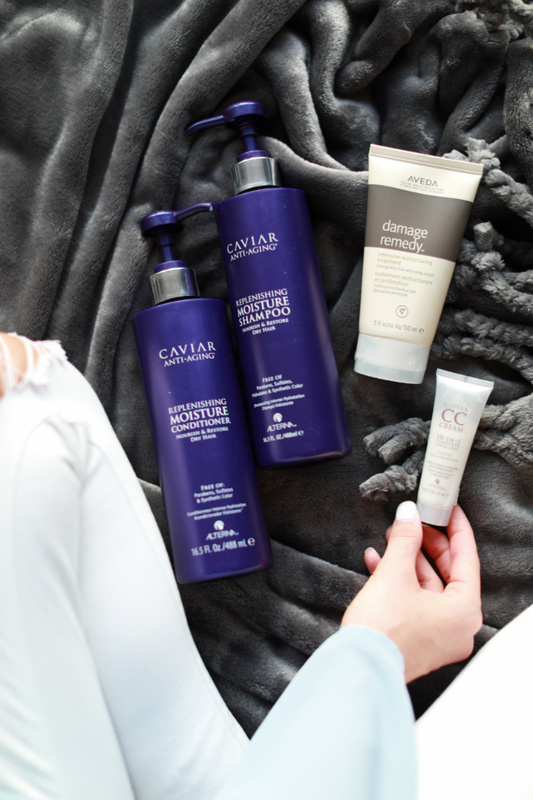 This Caviar Replenishing Moisture shampoo and conditioner made my hair feel SO silky smooth! I haven't cut my hair since February (eek! I know!) so it definitely needed some nourishing and this combo did just that. After shampooing, I followed my hair with this Damage Remedy Intensive Restructuring treatment. I use heat products on my hair all the time, so I am excited to see how well this works over time. The reviews are great, so I was automatically sold. After, I conditioned my hair and then applied this Caviar CC Cream 10-in-1 to my hair from about ears down. It's called "10-in-1" because it has 10 different benefits for your hair including making it soft & strong as well as protect it from heat. I have been using this combo the past few times I washed my hair, and I am very impressed! I have fairly thick eyebrow hairs, but the way they are shaped leaves hairs sticking up in random directions. I have used several eyebrow gels to keep them in place, including clear mascara, and love this Anastasia Beverly Hills Brow Gel the most. It keeps my brows in place all day without flaking or making them feel hard. They are a little pricey, but I have been using the same tube since the beginning of this year and just replaced it last week. 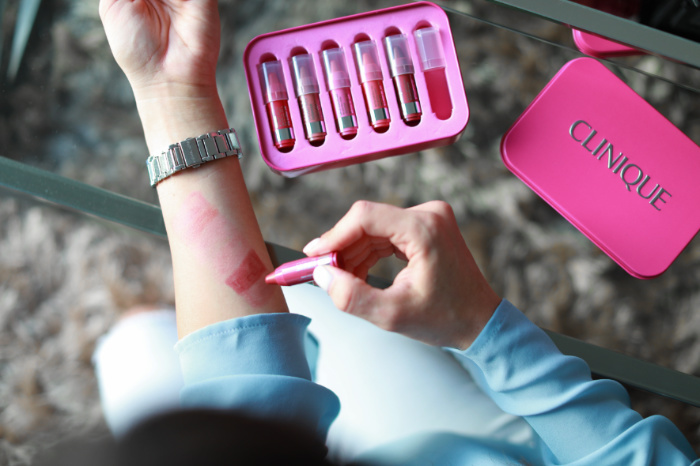 This Clinique Chubby Sticks set is so cute and perfect if you want to try out different colors. These moisturizing balms were the first lip "color" I ever wore and I still reach out for them every now and then. I love that they feel like you're wearing chapstick because they are so moisturizing while still giving a hint of color. You can get the full-size versions HERE. The two I wear most is "Woppin' Watermelon" & "Super Strawberry." Both of those shades come in the kit as well. 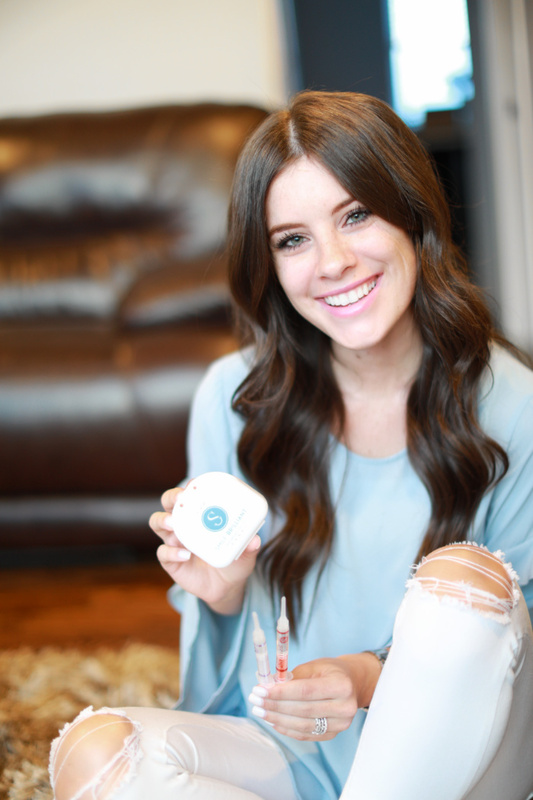 I have been using this teeth whitening kit ever since Smile Brilliant sent me their kit to try and review last year (you can see my full review here). Initially, they send you a kit with whitening gel, desensitizing gel, and paste to allow you to make your own trays. Once you follow the step-by-step to create the trays, you put the paste in the prepaid envelope and send them off to get them made. I actually had a set of trays made at my dentist prior to trying this and prefer those only because they are just a tiny bit less flimsy. I have really sensitive teeth so I prefer this product over white strips because of the desensitizing gel. If I know I am going to whiten a few days in a row or for a longer period of time, I use the desensitizing gel the night before for a good 45 minutes to an hour before bed and then will whiten the next day. I always follow-up with desensitizing gel after whitening. If I don't desensitize the day before whitening, I notice that my teeth are a little more sensitive even after using the desensitizing gel right after whitening. Sensitivity is mild, though and only lasts the next day. 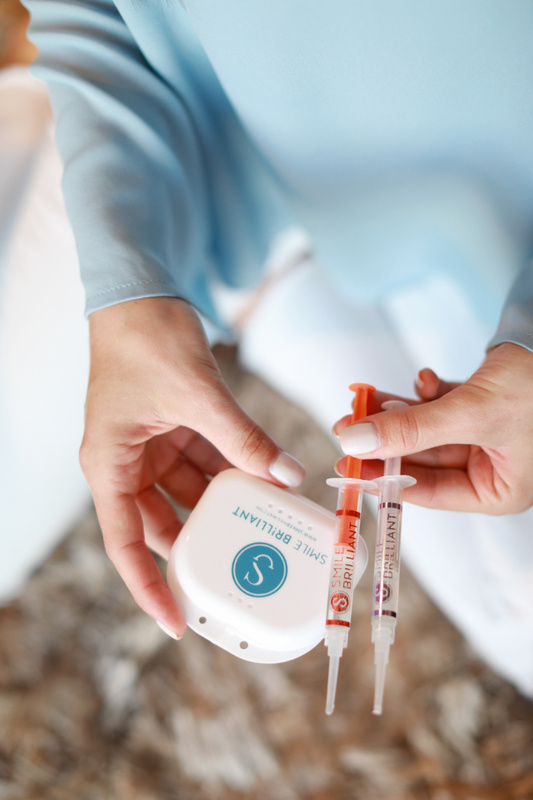 Also, as soon as I finish whitening, I can see immediate results which I love! That is all for the product reviews/favorties for now. If you noticed, I put a "1" in the title of this post because maybe this is a new monthly thing?? Let me know if that is something you all would love to see more of. I love trying new products and have a ton that end up being factories, so definitely let me know if there is any specific product you would like me to try or talk about in the another post. So many great products in this post. I have yet to try Tula but want too, I've been hearing great stuff about the brand everywhere. I too love Aveda product and use Anastasia products for my brows. Thanks for sharing!